The A Song is closing December 24th. This is my last project for the DT. 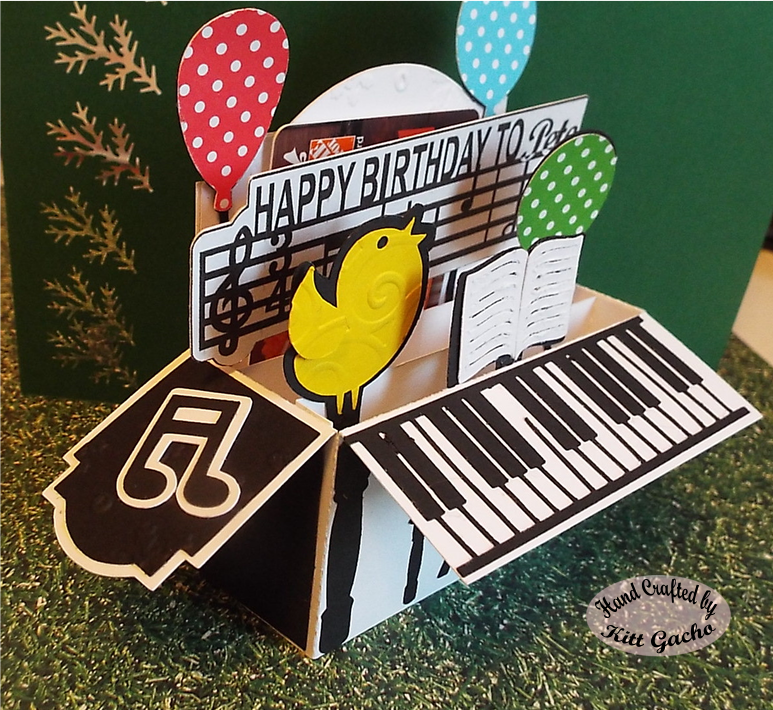 My son's birthday is in December and this Piano card worked perfect to fit the song . It has a gift card and folds flat to fit in an A2 envelop for mailing. The card is from Casual Whimsy. I used the Silhouette Cameo to cut it and print the sentiment. I want to thank you all for following me on this creative journey and leaving your lovely comments. Wishing you and your families a wonderful holiday season and Happy New Year. Have a happy crafty day.